I’m a wife to a loving husband and a mother to our sweet little boy; but those are just two of the daily roles I play. I’m also the lead planner and designer for every event at Littles ‘n Lace Events. I was born and raised in Northern California, and can’t imagine living anywhere else. I love creating prints and invitations in Photoshop, I drink way too much coffee, and in my time off, I’m spending it with family and friends. Did you always see yourself as an event and wedding planner? Where did the dream begin? It was actually something that I was always passionate about. When I was in high school I took an independent living class and one of the assignments was to build a life for ourselves after high school. I picked a wedding planning career for that assignment. I’ve always loved weddings. Before I started my entrepreneurship, during an interview at a bridal boutique the owner could tell how passionate I was about weddings and told me to pursue a career as a planner. After planning my wedding in 2008 I knew this is what I wanted to do, but I just didn’t know where to start. Once my sister in law got engaged in 2014, I enrolled myself in the QC Wedding and Event Planning course to earn my certificate to become IEWP certified. Almost a year and half later I’ve done 2 weddings and 3 more are in queue. To see my dreams come full circle has been surreal. Why did you choose to learn event and wedding planning online? Being a stay at home mom and wife it was hard to find the time to get away from home to take classes which would help achieve my career goals as a planner. Family is important to me, with a little boy in my life it was important that I was around for all those precious milestones. Being gone at school just was not an option. This was a determining factor for me to utilize the Event and Wedding Planning course that was available online. Being that the course was online, you do have to be a self-starter and be able to study without letting distractions get in the middle. Much like having your own business. I’ve always been good at the organization and planning aspect, but I felt like there was so much behind the scenes of the business I was missing. As anticipated, I was totally right. QC’s Wedding and Event Planning course really broke it down and started from the core of your business: picking the name of your business, the back story to traditions, all of the planning worksheet tools and your mission statement. Being able to really contact potential vendors for the mock weddings was also a big plus! Your business name and logo is so darling! Can you tell us a little bit about the inspiration and meaning behind them? Littles ‘n Lace Events name was actually born with the help of QC’s planning course. I knew I wanted to plan weddings & other life events; so adding “events” to the business name was easy. For the Littles ‘n Lace, I played around a lot with key words in all of life’s celebrations. For birthdays, baby showers, and bridal showers they to me felt like they were the little piece to an even bigger picture. Those smaller events led to even grander celebrations. Lace has also been something I associated with weddings and I’ve always loved how rich and elegant the fabric felt. My logo was easy to think of yet extremely hard to find at the start of my business. The antlers were all about my upbringing. I was born into a family of hunting and all things outdoors, so I feel like that was something I wanted to show. I’ve always loved flowers and floral arrangements. It all started with my best friend’s mom owning her own floral design business and when we were growing up, we would always play in the shop to help her make the arrangements. I had such fond memories growing up with them and the time spent in that shop. That is what the flowers represent for me. Your portfolio is absolutely stunning. 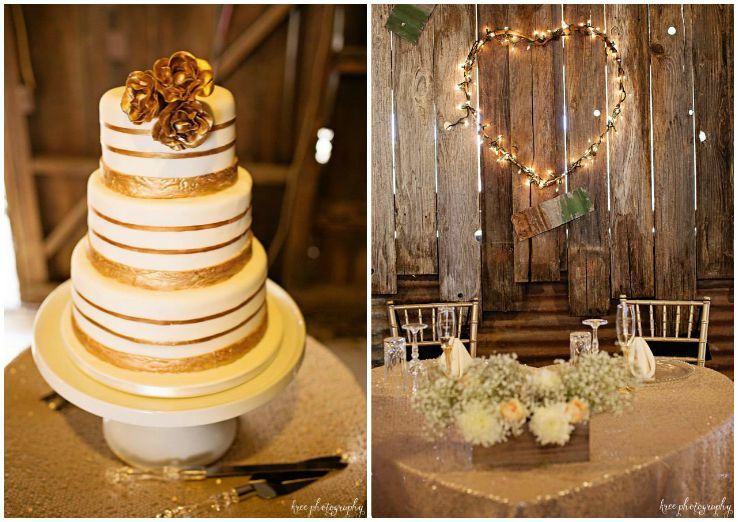 Where do you normally look for inspiration when planning events and weddings? Aww thank you! I actually prefer finding the inspiration from my clients wedding questionnaire I send out to them before our consultation. I also still love looking through magazines, and it may sound a little weird, but the structure of objects and textures inspire me a lot. I do use Pinterest since my brides love it, but sometimes it can give an unrealistic expectation or even make a wedding seem like it wasn’t really theirs. So I’ve been trying to pull back from the pinning a little. Many of our students have dreams of owning their own business as well. Do you have any advice for those who are just starting out in the industry? Take the leap! Scary right? I remember all of those feelings I had when I was thinking about it. When I first started, there were butterflies and the doubt, but the biggest thing that was driving me was my faith and God. Make sure you are true to yourself and make sure you are ready to grow and learn from others in the industry. Some of the best advice I’ve been given is to follow your gut and heart. If for some reason you feel like something isn’t the best fit for you and your business, then it probably isn’t. Most importantly try not to compare your business, life and story to someone else’s. We are all on a different page, all of us have something totally different to offer our clients and the world. What has been the biggest highlight of your career? Gosh that’s a tough one, I feel like I have two highlights. One of them was making it a year into my business. I know for some that may seem like nothing but it turned into something I didn’t even expect. And having 3 clients within my first year is unheard of. I’m forever thankful for those clients that turned into family. 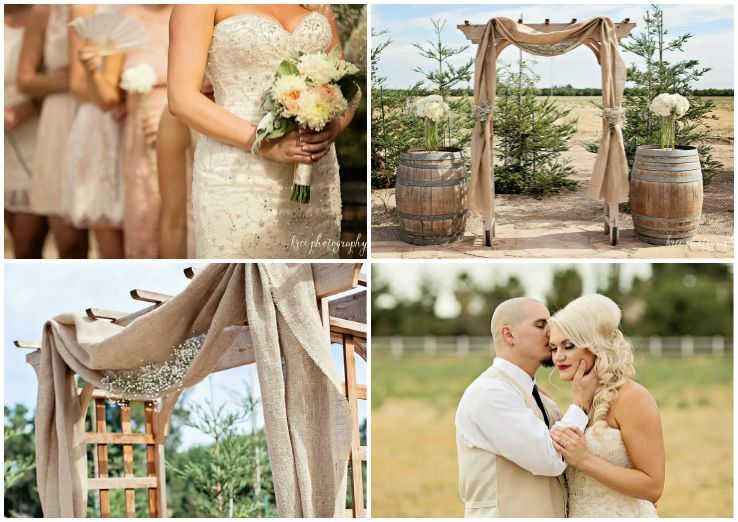 Also, the completion of Jon & Tiffany’s rustic glam wedding was huge! That was the first venue where I worked on a complete blank slate and everything was BYO. I had never had to do that before. Seeing it completed and how happy they were at the end of the night was so rewarding. The future is BRIGHT! I see a lot more growth, learning and some changes to the Littles ‘n Lace brand in the future. More amazing clients, I also see floral design. I’ve always wanted to add that to my business and getting to play with them at the Trouvaille Workshop just made me want that to be a part of my brand even more. I can’t wait to see what the future holds. 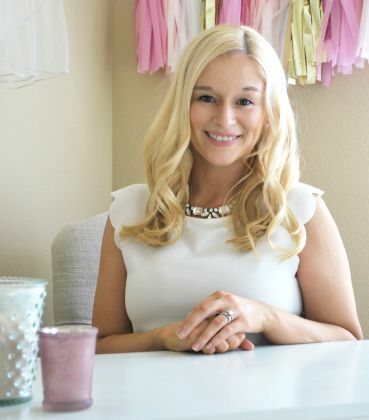 Are you ready to turn your passion for event and wedding planning into a career like Marie did? Check out the online event courses QC has to offer! wow reading about you was amazing. im a little scared to begin this journey, not going to lie. ive always had a passion in interior design since I was in high school. iam now 26 years old and I want to have a career and actually love doing whatt im passionate about. ive been a preschool teacher for 4 years and im just drained out. I plan and put together events for the preschool but I feel I need to venture out and explore more with my talent. I have a speech impediment and so its really hard for me to communicate with others, so that’s the main reason ive held back so many years, but I think its time to let go and go for my dreams. so event planner is where I see myself down the road. so my question for you, if you didn’t start your own business, whats the chances of you getting a job in event planning? change is hard for anyone, and it is for me but I want to be happy and I see your success in this career. so is there any advice you would give me. I love your story. Well done like you I planned my own wedding started from December 2016 completing all I needed and required by July/early August 2017 just before we flew out to a Caribbean island, all the stress anxiety was worth it, our wedding was beautiful so perfect so many guests even my husband paid complaints to me/us and still do after 4 months into our married lives, thats when I decided I will become a wedding planner, everything I did was coordinated and I even relied on Pinterest and still have this going. Someone has asked me to plan their wedding for 2019, which I am looking forward too, all I am waiting for is their budget cost colour scheme and what venue. So thank you Maria you have inspired me.